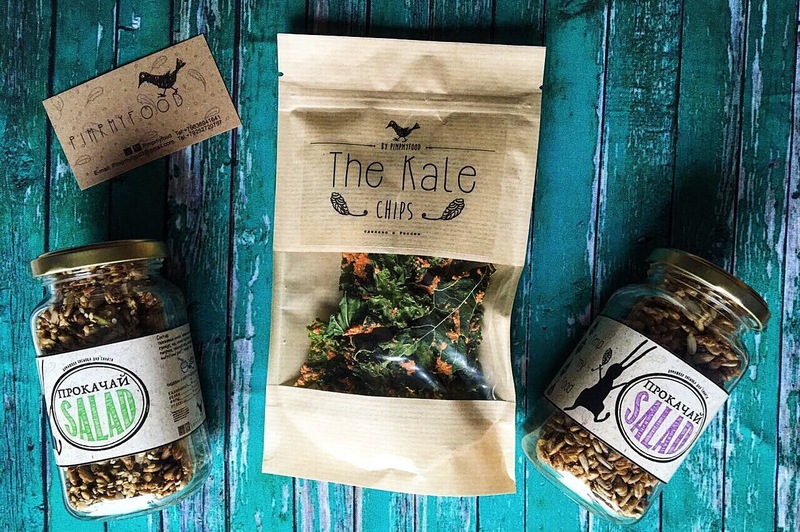 PIMPMYFOOD – vegan seasoning of seeds and superfood salad and chips from Kale that we create in the home production. Ingredients: pumpkin seeds, sunflower seeds, sesame seeds, chia, poppy, flax, paprika, cayenne pepper, apple vinegar, garlic, tamari, nutritional yeast, rosemary and salt. The seasoning used special ingredients, which is not easily available in the Russian market: vegan tamari sauce, nutritional yeast, which gives a cheesy flavor and is a unique product with a high content of protein and vitamins (especially B group). The minimum nutritional yeast fats, sugar and no gluten. All seeds pre-soaked in filtered water for their recovery. They are placed in a dehydrator and is dried at low temperature for 14-20 hours. 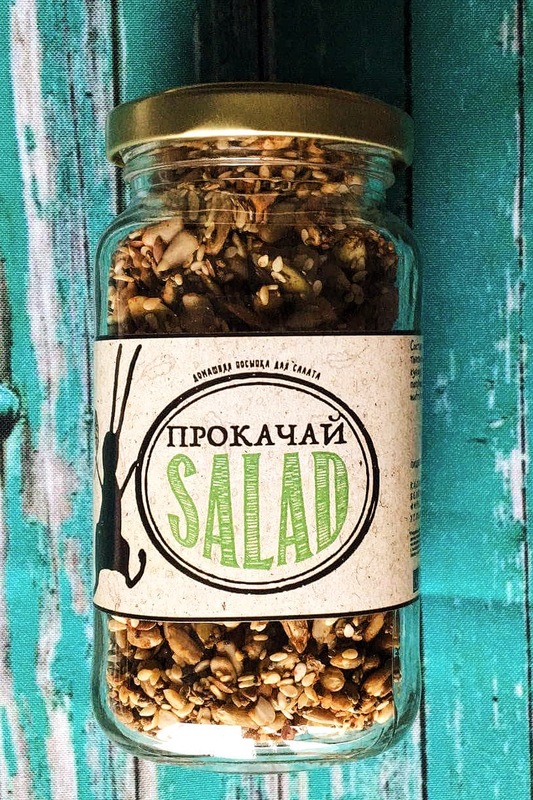 "PIMPMYSALAD" - is not only superfoodd (pumpkin seeds, flax seeds, sesame seeds, poppy seeds, sunflower seeds, chia), and special ingredients, which is not easily available in the Russian market: vegan sauce tamari, nutritional yeast, which gives the cheese flavor and It is a unique product with high protein and vitamins (especially B). The minimum nutritional yeast fats, sugar and no gluten. All seeds pre-soaked in filtered water for their recovery. They also laid in a dehydrator and is dried at low temperature for 14-20 hours. All products PIMPMYFOOD are natural organic food, which contains nutrients, which in lack for people who adhere to fasting or living on vegetable diet. And our products can be served as a standalone snack between meals or workouts. The complete cycle of preparation of our products takes 20 to 30 hours. And we do not mind this time, because we are confident in the use of live food, but we will save that time for you.